There are a variety of different circumstances that may arise in which people may end up requiring the help of a short-term loan in one form or another. Whatever the situation may be, it is important to have thoroughly considered whether or not actually taking out a loan is the right option for the specific circumstances in question. We take a look at some of the main factors you should be taking into account before deciding to make a loan application. It is crucial to assess the necessity of actually taking out a loan and to be clear on exactly what basis you are taking it out for, as you will then you will be more able to make an informed decision around the borrowing and repaying of the loan in question. If you are intending to simply use the loan to spend on luxuries and impulse buys, think twice about getting such a loan in the first place. Borrowing money should only be done in cases where it is a financial necessity to do so (such as needing to pay for the cost of a broken boiler that has suddenly brken down before payday, or an unexpected bill) rather than to spend on things like entertainment and clothes. It is vital to look at your own financial situation and budget to see whether it is practical or not to take out a loan at that moment in time. Consider whether or not you will be able to repay the loan, prior to making any application for credit, as well as remembering to factor in the cost of interest when deciding upon the affordability of a loan as you will also need to pay this back too as part of your repayment schedule. How Do I Plan to Pay Off My Loan? If possible, incorporate as much as you can in order to pay off the loan. If this is not feasible however, consider factoring in at least the minimum repayment amount for each month into your monthly budget. If you are able to pay back more than the minimum amount, MoneyBoat for example allows you to do so, enabling you to reduce your debt as quickly as possible. It is worth checking what your credit score is before applying for a loan. Whilst a bad credit score can affect your chances of being accepted for a loan, MoneyBoat does in fact lend to customers who fall under this category in certain circumstances and all are able to apply for our loans no matter their credit score or history. For more information, check your eligibility here. Can I Afford the Interest Rate? Remember that customers are required to pay back the original amount borrowed plus interest. The interest charged is the amount that the financial institution charges on top of the money borrowed. The precise interest that you will pay will likely be dependent on how risky the loan is (e.g. is it an unsecured or secured loan) for the financial institution you are borrowing from. Whilst this usually means that short-term loans tend to have higher interest rates than others available, MoneyBoat is different: we have an interest rate of just 0.7%, which is lower than the industry norm. The length of your loan will determine how much you have to pay each month as well as how much you will pay overall; such as how much interest you will pay. The longer you take to pay off the loan, the lower your monthly repayments will be. However, it is important to understand that although the monthly repayments may be less, the overall repayment of the total loan plus interest will be higher (since more interest will be charged over the full course of the loan.) 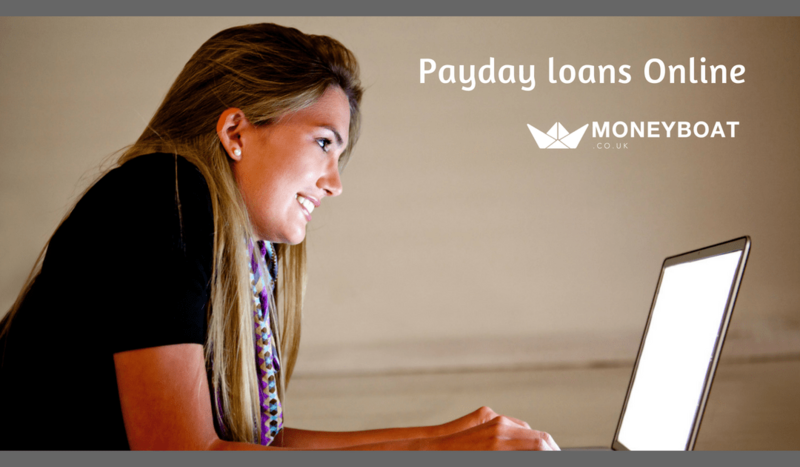 With MoneyBoat.co.uk, you will be able to pay back the loan for a maximum of up to 6 months.